Milford, NH. 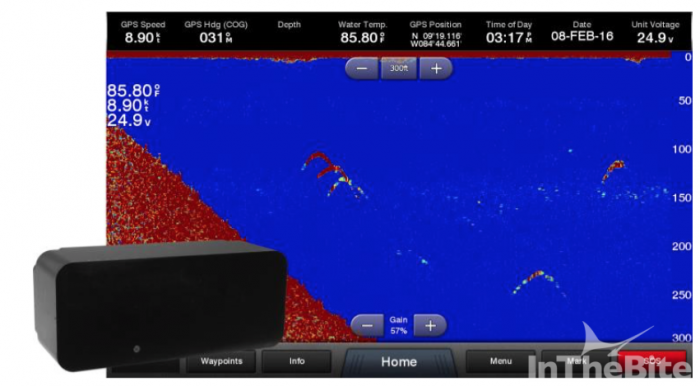 (May 24, 2016) – As CHIRP technology remains at the forefront of echo sounder development, AIRMAR Technology Corporation—experts in the design, engineering, and manufacturing of innovative ultrasonic transducers—today announced that the new line of ultra wide beam CHIRP-ready transducers designed just for sportfishing applications and tournament fishing is now shipping. This new transducer series provides even more coverage under the boat; offering a 40 degree beamwidth which equates to 440 feet of beam coverage in 600 feet of water—nearly triple the beam coverage of original CHIRP-ready transducers. Combining a low-frequency range of 40 to 60 kHz with a medium-frequency range of 80 to 130 kHz, this tournament series reveals more fish in the water column than ever before and is being reported by captains as the best transducer option. “I am very impressed and the more I use it, the more I like it. It is by far the best transducer I have used to date while fishing for sails in depths ranging from 200-1,000 feet. The results I’ve seen on the echo sounder are so fascinating, they should be in National Geographic,” says John Bayliss, Fisherman and Owner, Bayliss Boatworks. Marine installers are also seeing a positive response to the new ultra wide series. “This season, I am seeing boat owners swap out existing ‘ducers for the ultra wide transducer, without having to pay thousands for a new install because the size retrofits existing PM111, R109 and CM599 models. The transducers I have installed thus far have been very well received and are quickly becoming the choice transducer for 2kW sounders,” said Joe Dieffenbach, Custom Marine Electronics, Stuart, FL. 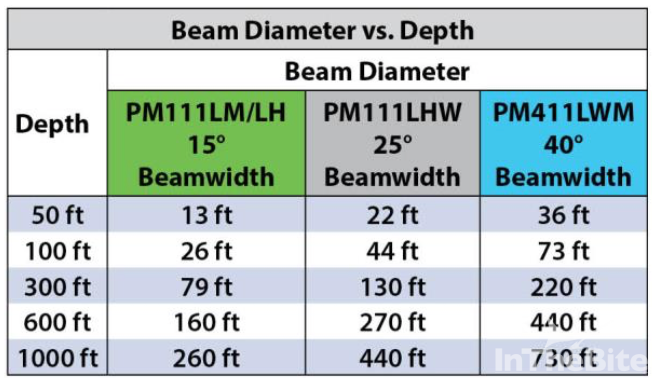 In addition to getting more coverage under the boat and a wider beam, you get a nice combination of superior depth capability and maximum clarity. Now you don’t have to trade clarity for depth! AIRMAR first launched the revolutionary CHIRP-ready transducer product line with several dual-band offerings in August 2011. The Company has been adding innovative options to it ever since.